From today, I'll introduce you to the amazing world of fashionable nails. First things first, buff your nails. I am a big fan of block nails. They look much cleaner, healthier and prettier. Here's my 3-step method to block nails. 1. Grow your nails for a period of time, say a week or two, without cutting or shaping them. 2. 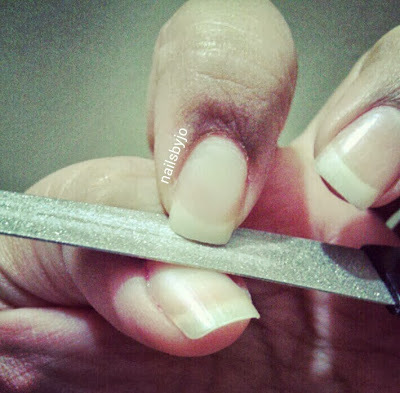 When your nails are of a decent length, take a nail file and horizontally buff your nails. 3. Lightly round the edges. And there you are! Fabulous block nails. Do write in with your comments and wishes, I'd love to hear from you.